Cybercrooks are using free Wi-Fi hotspots as an attack vector to target your data and privacy. 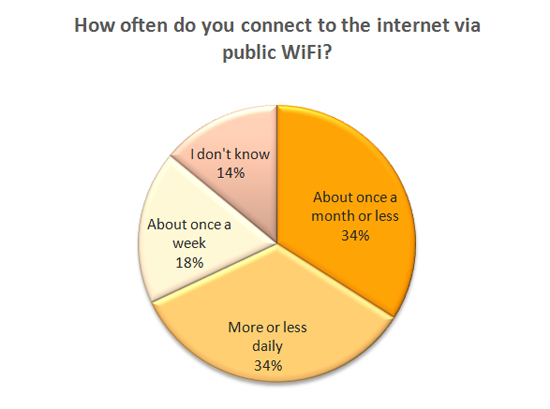 Free Wi-Fi hotspots are ubiquitous. On summer vacation, you can surf the Internet and check email while chilling out by the hotel pool, you can access the Internet for free while you eat a burger and fries at 11,500 McDonalds, you can sip a refreshing iced mocha at Starbucks and access free Wi-Fi with no subscription required, no password, and no time limit. This trend is expanding to health clubs, stores, restaurants, cafes, and hotels globally, and people are using it. "...the number of threats coming from those unsecured public hotspots is now bigger than ever," said Ondrej Vlcek, Avast's CTO. Avast conducted a survey of our global users and more than 340,000 people responded. 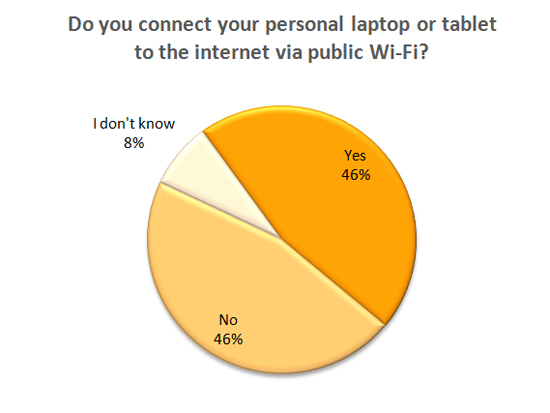 Half of PC users in the US (50%) connect via public Wi-Fi, and worldwide, 46% use unsecured open Wi-Fi. People are doing more than updating their Facebook status. Thirty-two percent in the U.S. perform security-sensitive transactions such as shopping or online banking despite the risk of hackers accessing their credentials; worldwide it's even more at 36%. The ease of connecting via a free HotSpot lulls users into a false sense of security, but Wi-Fi networks are particularly vulnerable to exploitation. Man-in-the-Middle (MTM) attacks are all too common. In a MTM attack, a cybercrook intercepts data sent between two parties. That means the bad guy captures your data, like email addresses, passwords, and credit card numbers, before it reaches its destination. Once he’s got it, it can be decrypted and read, and then passed on to the highest bidder. Avast has solved this problem with Avast SecureLine, which uses secure-socket layer (SSL) encryption and security keys/certificates to safeguard Internet communications on otherwise unsecured Wi-Fi networks. Avast SecureLine is seamlessly integrated in all of Avast’s free and premium products. When Avast customers connect to unsecured Wi-Fi, they receive a message that provides them with insight into the risks of using public and unsecured Wi-Fi as well as the choice of a secure VPN connection via Avast SecureLine. Customers are then directed to the user interface where they can start the service, which can also be proactively activated by the customer at any time. Once activated, Avast SecureLine will be automatically enabled whenever the customer connects to a public Wi-Fi hotspot to secure and anonymize all of the customer’s online activities. Read more about in our previous blog post. Avast SecureLine VPN is available either standalone or directly from within Avast antivirus software.